Write a simple PHP browser detection script. Web browse: A web browser is a software application for accessing information on the World Wide Web. Each individual web page, image, and video is identified by a distinct URL. These URLs, enable browsers to retrieve and display them on the user's device. A web browser is not the same thing as a search engine, though the two are often confused. For a user, a search engine is just a website, such as google.com, that stores searchable data about other websites. But in order to connect to and display websites on their device, a user needs to have a web browser installed. 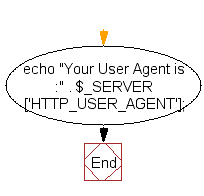 Previous: Write a PHP script to get the client IP address. 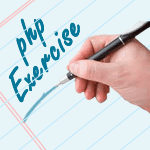 Next: Write a PHP script to get the current file name.